Carsington Water’s unique Derbyshire landscape has been a real hit with British wildlife. The reservoir has become a home to hundreds of birds, including species that are seldom found elsewhere in the UK. There’s always something to do at Carsington Water. It boasts one of the best adventure playgrounds around – with pirate ships to explore, masts to climb and all sorts of things to challenge even the most adventurous youngster. Located next to the Visitor Centre – and it’s free! Explore the vast network of paths and trails that circumnavigate Carsington Water – by bike or on foot. Bikes are available to hire from the Watersports Centre, or you can bring your own! The High Peak Trail is a 17.5 mile trail from High Peak Junction; near Cromford, to Dowlow; near Buxton. The Trail is traffic-free; suitable for walkers, cyclists and horse riders passing through some of Derbyshire’s finest countryside. For those wishing to explore the trails further, the High Peak Trail joins the Tissington Trail at Parsley Hay. The Heights of Abraham is located in the heart of the Derbyshire Dales in the village of Matlock Bath, and has become one of the Peak District’s most popular destinations. Take a trip on the cable cars across the valley overlooking Matlock Bath. Guided tours take you underground through the Great Masson and Rutland Caverns. This is yet another great family day out. Unlimited tram journeys calling at various stops along the mile long track. Step back in time along their recreated period street including pub and shops. A must for all transport enthusiasts. Up to 18 trams are in service throughout the day. Chatsworth is home to the Duke and Duchess of Devonshire, and has been passed down through 16 generations of the Cavendish family. There are over 30 rooms to explore, from the magnificent Painted Hall, regal State Rooms, to the restored Sketch Galleries and beautiful Sculpture Gallery. Meet an Edwardian lady’s maid in the guest bedrooms, who will reveal the secrets of her mistress’s suitcase of clothes. Famous for its historic and modern waterworks and sculptures, rich history, Victorian rock garden and maze, there is something for everyone in the 105-acre Chatsworth Garden. Discover the working farmyard with animal handling and milking demonstrations, plus a woodland playground with a rope park, trampolines, slides, water and sand play area. Haddon Hall has welcomed visitors for hundreds of years and its beauty and atmosphere never fails to enchant. The Hall is probably the finest example of a fortified medieval manor house in existence. Present-day Haddon Hall dates from the 12th Century to the early 17th Century. Many of our campers use the campsite as a base to visit many English Heritage and National Trust sites in Derbyshire and the Peak District. Bolsover Castle was built in the early 17th century by the Cavendish family, on the site of a medieval castle founded in the 12th century by the Peverel family. Take a trip back in time to the 1760s with a house to rival Chatsworth. Intended as ‘a temple of the arts’ and as the location for grand entertainments. The main house was never meant to be a family home, but a canvas on which to showcase the finest paintings, sculpture and furniture. Hardwick Hall is witness to a woman who had the vision, wealth and sheer audacity to construct a house that still takes people’s breath away centuries later. The golden stonework and sparkling expanses of costly, but oh so fragile glass, look down on the ruins of an earlier attempt at building a house fit for a dynasty; quickly surpassed by a totally new building. Alton Towers is the biggest and 2nd most visited theme park in the UK. There is something for everyone at Alton Towers – for the younger ones there is Cbeebies Land, and for the older ones and thrill seekers it boast the biggest rides in Europe. The park is open March – November. There’s something for the kids too. Gulliver’s Kingdom is specifically designed for families with children aged between the years of 2 and 13. The Western World and pirates play area, log flume and Drop Tower makes Gulliver’s Kingdom one of the best theme parks in the UK for children. 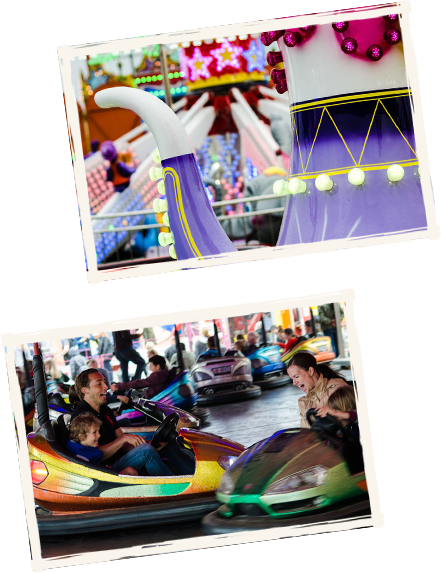 Gulliver’s Kingdom guarantees you a great value day out for kids throughout the year from March – December.